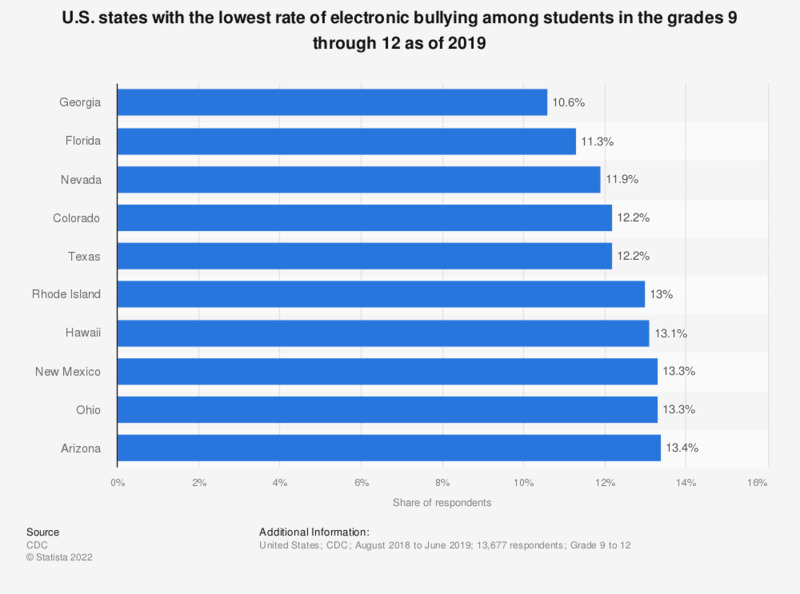 This statistic presents the U.S. states with the lowest rates of electronic bullying among students in the grades 9 through 12. During the 2016-2017 survey, it was found that 10.1 percent of high school students in Delaware had been electronically bullied within the past 12 months. This includes being bullied through instant messaging, websites or texting. The U.S. average was 14.9 percent. Counting being bullied through texting, Instagram, Facebook, or other social media, during the 12 months before the survey.